The awkwardness level in my classroom can reach epic proportions some days. I think this post is proof of that. Student: Does this mean you can't be my bae? And, I'm almost 18. It'll be legal soon. Me: I'm your teacher. I will never under any circumstances be your "bae." Student: But, I need a Ms. Hagan in my life. I mean you're smart. If we were together, I could work, and then I could come home and you could answer my questions. Like, what are taxes? I need someone just like you in my life. Except you're a vegetarian. And, I'd want to come home to a steak sometimes. I'd come home from work and ask what was for dinner. And, you'd be like "Salad, honey." Me: This is officially the weirdest conversation I have ever had with a student. Thanks. Student: Now, imagine you were a high school version of Ms. Hagan. You know you'd be interested in me! You would. Wouldn't you? Me: Ummmm....I'm going to go back to grading papers. And, you're going to go back to working on your homework assignment. And, we're going to pretend that this conversation never happened. Okay? Me: What is the only number which is spelled in alphabetical order? Me: Pi is not spelled in alphabetical order. Student: Yes it is! Oh wait. I forgot. Pi would be in alphabetical order if it wasn't for the e.
Can we name your aloe vera plant undefined? Some of its leaves are vertical. 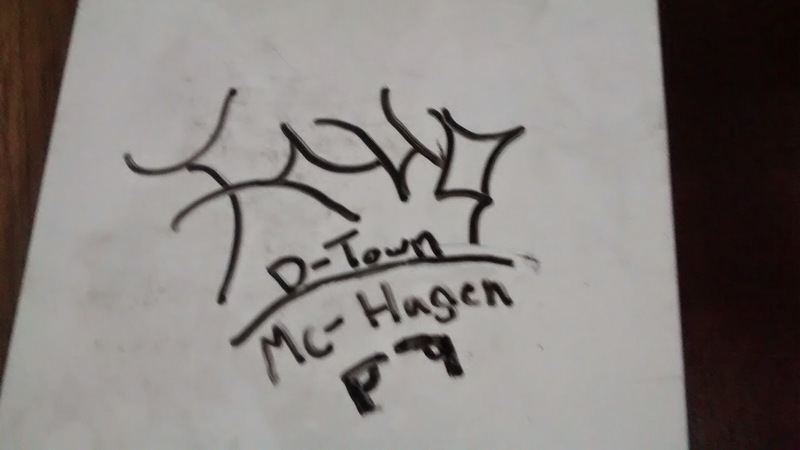 Student: Oh, do you mean that one A-Town that's down by Antarctica? Student: Yeah. That's what it's called. You can give us homework AFTER football season. I know what that means. You're going to put that on your computer thingy. I guess the word blog isn't in their vocabulary??? Homework gives you eye cancer. You're an algebra teacher who doesn't eat meat. You have nothing to live for. Ms. Hagan wants to cut off our heads and put them on stakes in her front yard. Stop it! You are possessing the lights. I'd set you up with my uncle, but he's in jail. Student: There are two states that he cannot pronounce. Me: And, what two states are those? Me: Ummmmmm...one of those is a state. The other one is a country. Me: What do you call it if the fraction has been flipped? Student: Ms. Hagan, you made my brain hurt today. Me: Good! That means I'm doing my job! Me: What would we multiply the numerator and denominator by to get rid of the radical in the denominator? Student: Freedom. We would multiply by freedom. Somebody spit their gum out on my desk, and I don't want to get ebola. Ms. Hagan, maybe you should work at Lambert's so you can learn some throwing skills. Student: Ms. Hagan, what was your good thing this weekend? Me: Well, I went to Oklahoma City on Saturday. 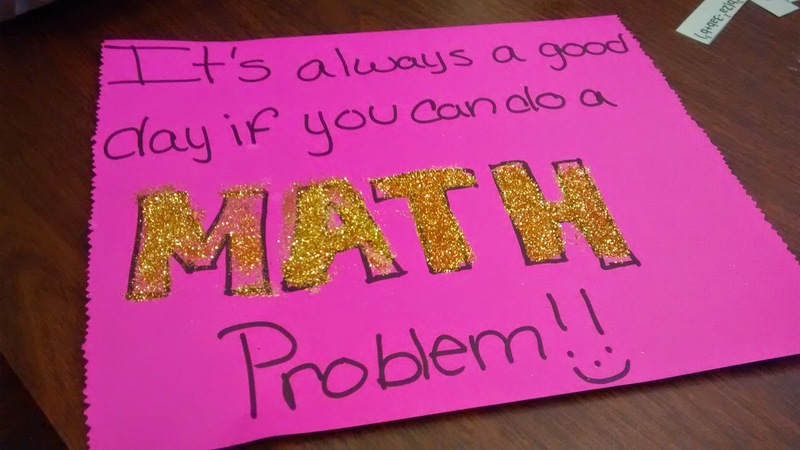 And, I got to spend all day doing math; it was fabulous! Student: Have you ever thought of maybe getting a husband? Or children? Can we take a field trip to a slaughterhouse? Normal sharks are the size of a school bus. What would you do if someone put a raw pork chop on your windshield? Entire Class In Unison: You should not be talking. Male Student: I have a good thing. Male Student: [Female Student], I have a serious question to ask you. Male Student: Would you go out with me? Student 1: Did you find any dead animals this weekend? Student 2: No, but I did find a random man sleeping underneath my house. Ms. Hagan, every time I see math, I think of you. It's kinda sad. No, it's really sad. I started Fall Break with grand plans. I was going to tackle my to do list. I was going to catch up in life. Oh, life happened. That's for sure. But, I'm not sure I feel any more ahead than I did five days ago. I marked a few things off of my to do list. I read a book on approaching life with bravery and courage. And, I did some things that I wouldn't have had the courage to do a year ago or six months ago or even two months ago. Tomorrow, my alarm will go off super early. And as much as I'd rather sleep in and continue this break, I will go into school. And, I will put a smile on my face. That smile might be a little forced at first, but it will soon be replaced with a genuine grin that I can't help. I will continue teaching my 101 students that they CAN do math. I will remind them that their future is not defined by their past but by the amount of hard work they are willing to put in. I will challenge them. I will push them. I will make a fool of myself trying to convince them that math is awesome. We will laugh. We will joke. We will learn algebra and trig. And, when they complain and say things like "Ms. Hagan, you make my brain hurt," I will just smile and say, "You're welcome." You realize that Santa Claus is just your dad's mom, right? If the Big Bad Wolf came around Drumright, the whole town would fall down. Ms. Hagan, you are cuter than a box of baby ducks. Student 1: Did you play a sport last year? Student 2: I don't mean to brag, but I was the starting quarterback on the ineligible list last year. Student: Ms. Hagan, would you ever consider marrying a guy to help him get in the country? Me: Where did that come from?!? Student: Oh, I saw it in a movie once, and you just seem like the type of person who would do that. 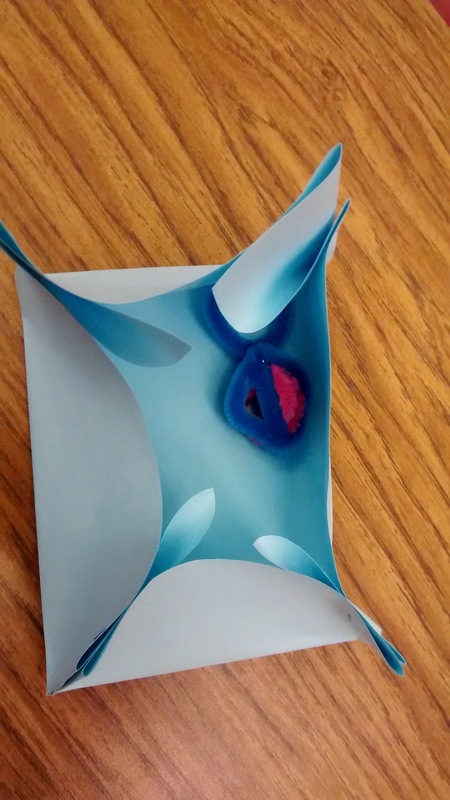 Student: I have to redo my interactive notebook. Student: I accidentally dropped my notebook in bleach. Me: How do you accidentally drop your notebook in bleach? Student: Well, I was cleaning my bathtub and studying my notebook at the same time. And, I kinda dropped it in the bleach. Student reading a laffy taffy joke: What store are dogs afraid of? Me: I don't know. What store are dogs afraid of? Me: Ummm...that's not actually a type of store. And yes, I realize I'm making fun of a laffy taffy joke. Student: Ms. Hagan, have you heard your own jokes? Me: I don't have any pets. Student: We know, but you do have plants. Do you know that's what my mom refers to you as? Ever since my sister had your class, my mom has called you "The Plant Lady." It looks like a unicorn threw up in my bag. Student: I'm licking this aloe vera leaf. I wanted to know what it tasted like. 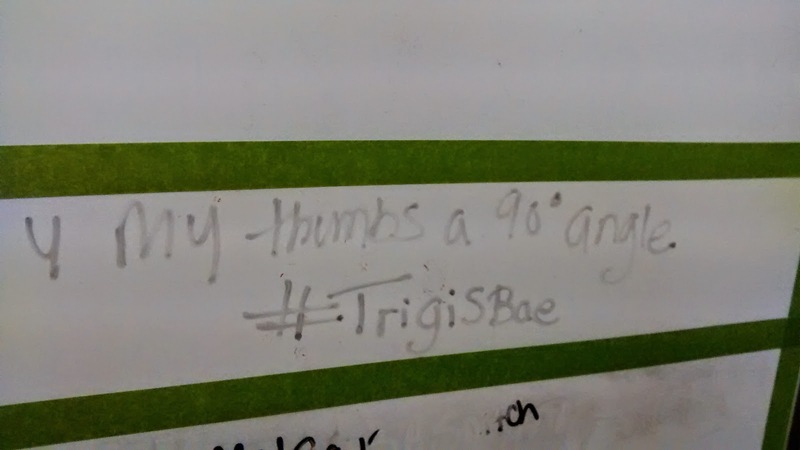 Ms. Hagan, I gave the board lots of kisses. You do realize that I'm a sophomore right? I'm going to put your head in the toilet. I like torturing my animals, but I don't like killing them. Me: Class, does anybody have a good thing to share? Student: I don't have ebola. Ms. Hagan, you won't agree to marry me, so you have no reason for life. Me: Open your notebooks to page 41. Por favor. Student: Why are you calling me poor? You don't have to be a doctor to tell someone what color of hair they have. One Student to Another: Why are you dressed so decent? You're not at a wedding. And, nobody died. Ms. Hagan, you sound like a different person on the phone. Me: What's the first thing one should do if they're stuck? Student: Call a tow truck. I think Ms. Hagan is the type of person who if she ran over a cat would call her mom to tell her what a terrible person she must be. Then, she would need to go to counseling and take medication for the rest of her life. Did you hit on [another student]'s mom when you were at his house? Do you know what makes me so happy? Every time someone buys something made out of snake skin, a snake dies! We do not rise by lifting others. We rise by burning villages. If you asked me what my favorite month of the year was, I probably wouldn't say October off the top of my head. But, as I sit here to write this post, I can't help but think about how excited I am about this month. October - the month where the weather finally starts to cool down so I can wear my cute fall boots, sweaters, and scarves without melting. October - the time of year where I can live for a few weeks without turning the air conditioner or the heater on in my house. October - the month of Halloween decorating and consuming WAY too much candy. And by candy, I obviously mean chocolate. :) October - time for visiting pumpkin patches and exploring corn and hay mazes. It's also the month of Fall Break and Homecoming. Plus, in Drumright, October means the Oilpatch Jamboree. This summer, I picked up a couple of Halloween decorations at a yard sale. 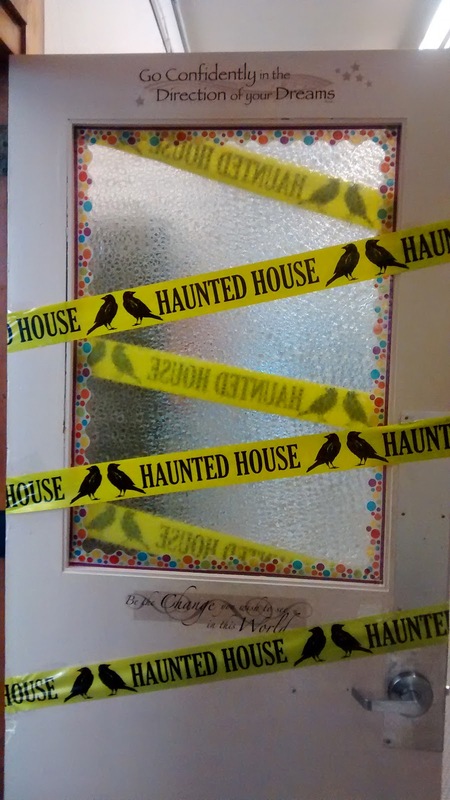 I've never decorated my classroom for Halloween before, but there's no reason I can't start now. Haunted House tape around the door. My coworker asked me what was up with the caution tape. 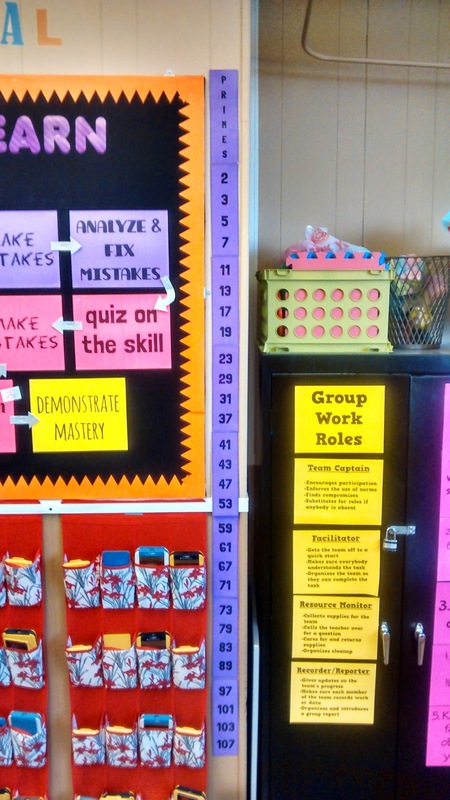 Is your classroom a crime scene? Ummmm....it very clearly says "Haunted House." 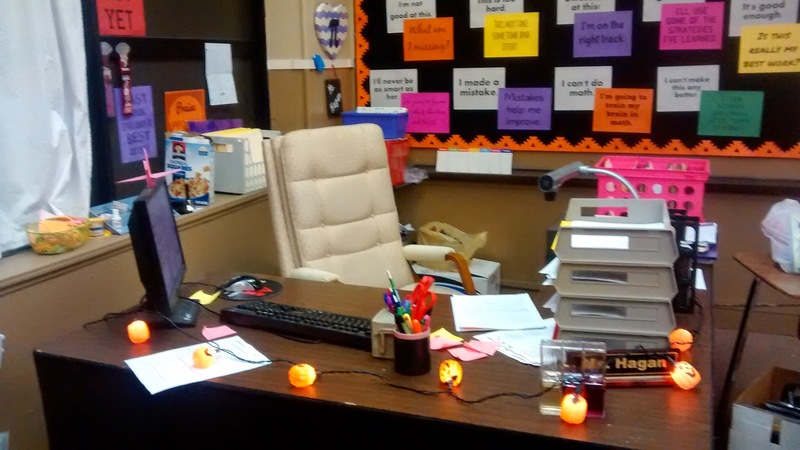 Pumpkin lights on my desk. 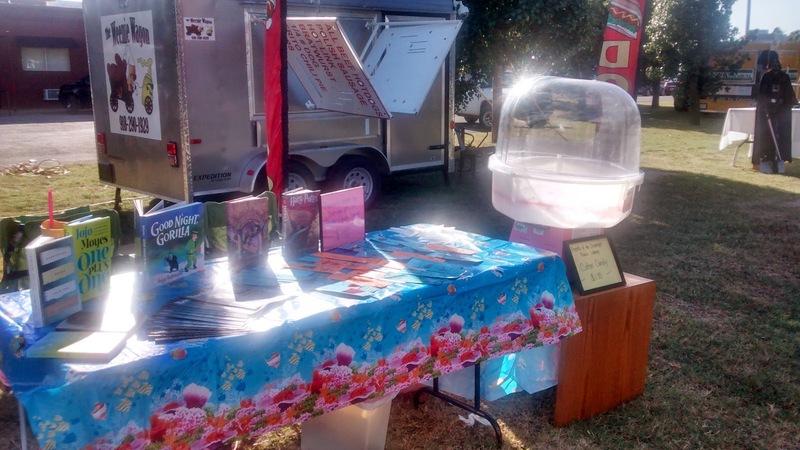 The Oilpatch Jamboree festival was earlier this month. I worked the Friends of the Library table where we sold cotton candy and bookmarks that were decorated by the 3rd and 4th graders at our elementary school. The Oilpatch Jamboree is a celebration of all things Oilpatch. We boast that we have the "most unique parade in the oilpatch." I'm not sure if that's verifiable, but I can say that it's the only parade I've ever seen that features oil field equipment as parade entries. After a 5k run, the parade, and pageant, the town flocks to a park full of vendors for food, fun, and music. 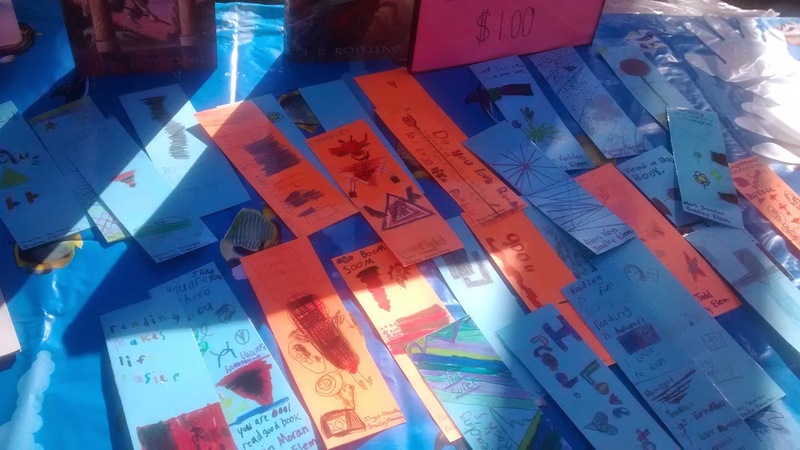 Here are the bookmarks we sold. The kids did a fantastic job of decorating them! 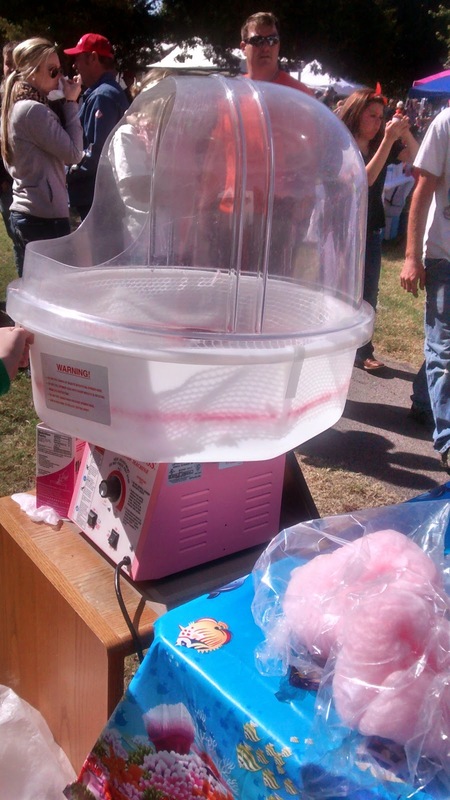 Somehow, I became the person in charge of making the cotton candy. Have I ever made cotton candy before in my life? That's a definite no. I've eaten cotton candy, but I'm not sure that counts. 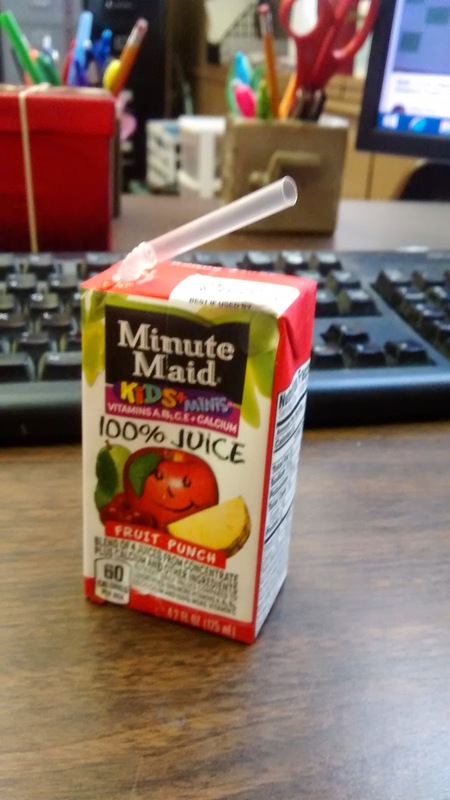 Luckily, our elementary school principal showed us how to make a batch before leaving my landlady and me on our own. 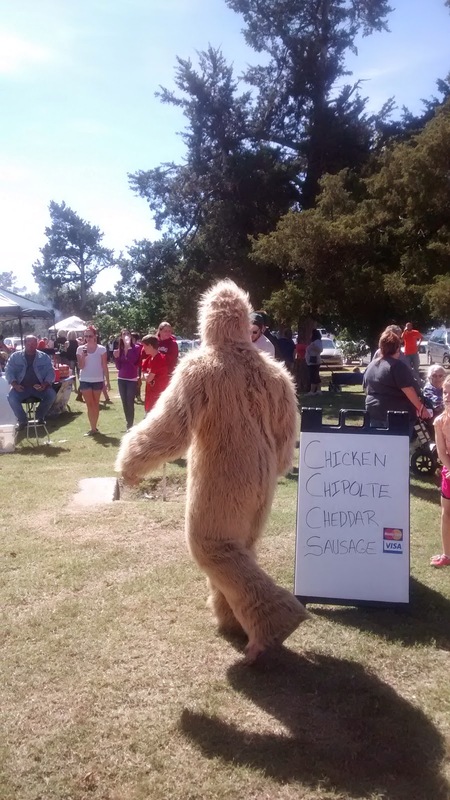 There was a Big Foot sighting. There were also little kids screaming and crying their heads off for fear of Big Foot. 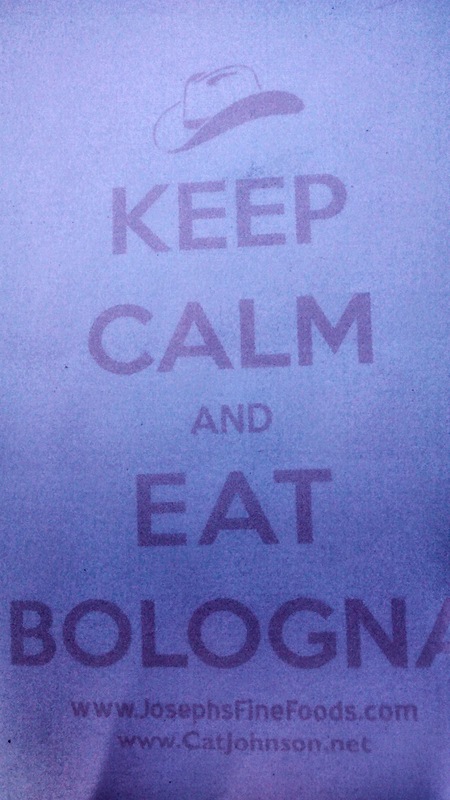 And, I got what every vegetarian needs: this notepad. All in all, it was a great first Oilpatch experience for me. The past two years, I've skipped Oilpatch because I felt like everybody in this town knows everybody and I know nobody. It's taken some time, but I've finally started making friends and connections in this town. In case you were wondering, pun definitely intended. When I teach simplifying radicals, I teach my students to find the prime factorization of their radicand first. Prime factorization is something that they should come to my classroom knowing, but I've found that many of my students need a short refresher course on prime and composite numbers. I usually accomplish this by having my students classify the numbers between 1 and 100 as prime, composite, or neither. We make a little chart to keep in our interactive notebooks. When students are working on finding the prime factorization, I encourage them to keep their notebooks out and open to this page. However, you know how that goes. 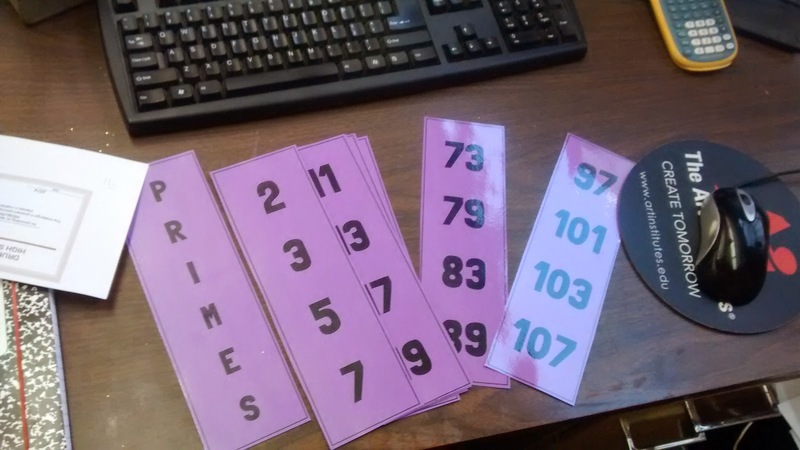 Students soon get where they just start assuming that a random number is prime instead of checking their chart. This year, I decided I was going to make this prime number poster thing happen. But, I had a sort of dilemma. The walls of my classroom are literally covered in posters. 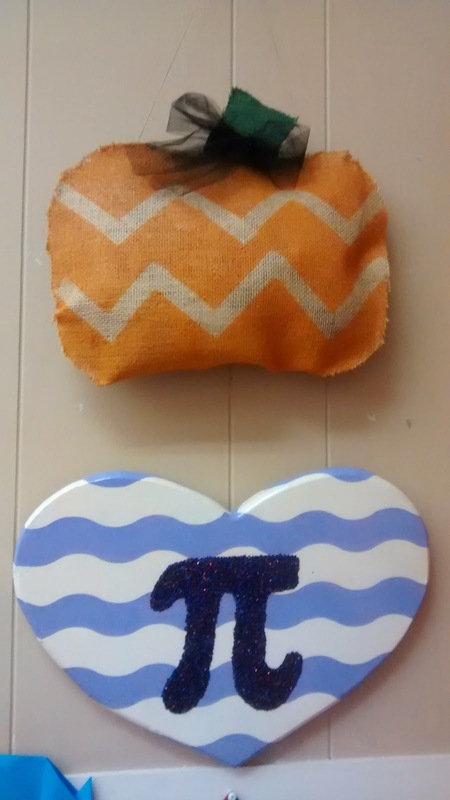 Where could I hang the prime numbers? Eventually, I decided that I had yet to utilize a small 4 inch gap between the bulletin board and the edge of the wall. I made a quick template in Microsoft Publisher that was 3 inches wide. It didn't take long to duplicate the page and type in the prime numbers in a cute font. This was made and printed in 7 minutes tops. I gave one of my student aides the job of printing it on card stock, laminating it, cutting it out, and taping it to the wall. The verdict? Success. Students are actually using the poster while working on their assignments or quizzes! 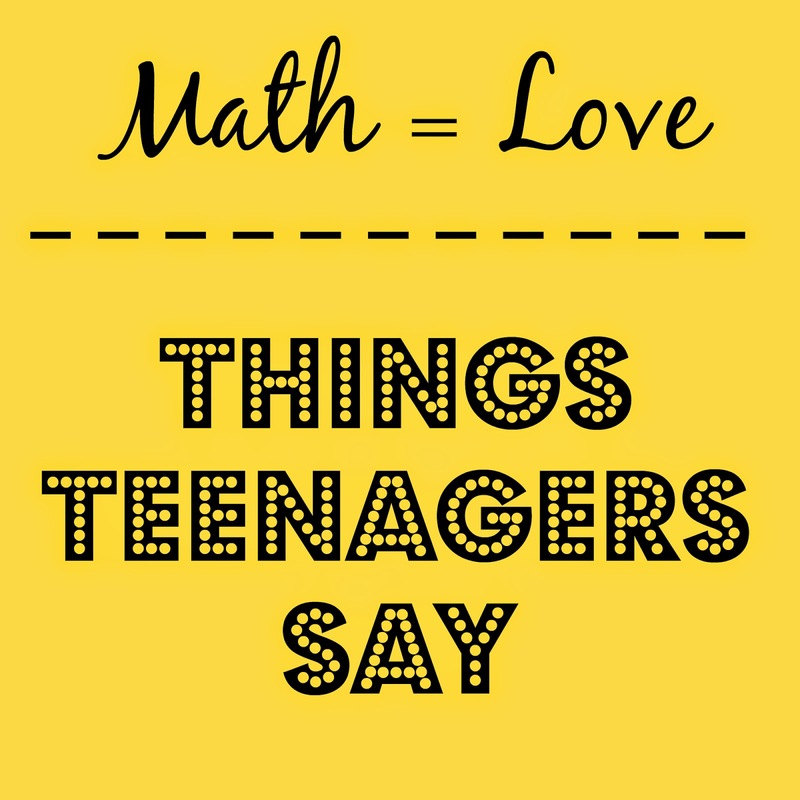 And, this makes this math teacher oh so happy. Want to download the files to print your own prime number banner poster? Click here. Soon, you may be wondering, "Why is Sarah showing me all these random pictures and telling me about them?" Well, this post is my attempt at procrastinating on my homework for my grad school class. You're welcome. 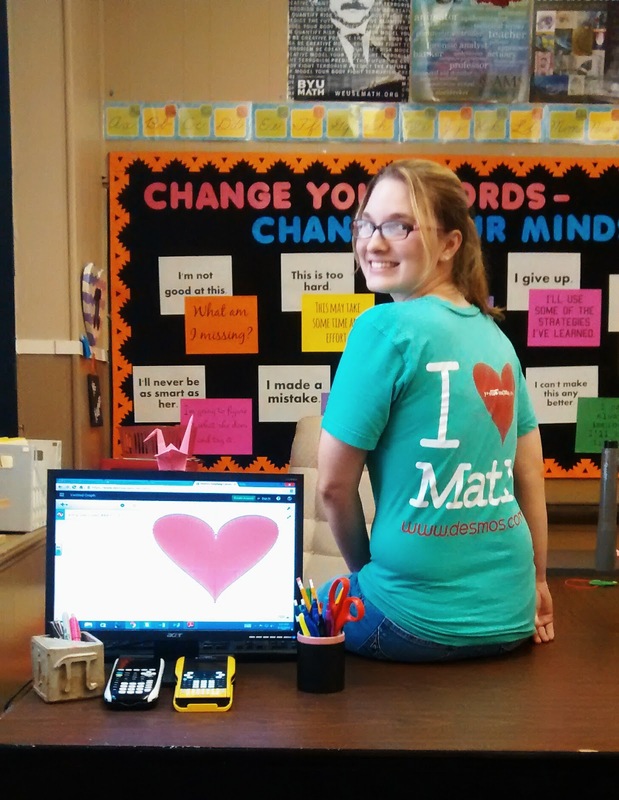 She was also impressed by my Desmos t-shirt. When I turned around to show her the back, she decided we should graph the equation to see if it really made a heart. Not realizing the irony of her actions, she picked up a TI graphing calculator and started typing in the equation. It didn't work. I suggested that we graph the equation on Desmos instead. It worked! 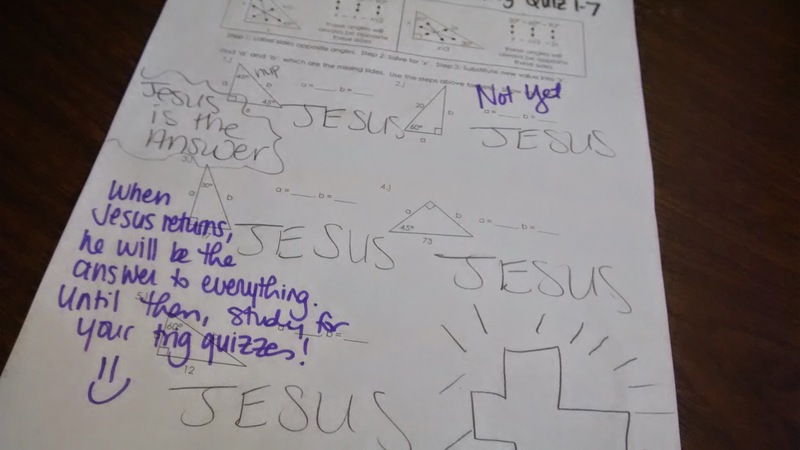 In other news, one of my trig students thought she would be cute and put "Jesus is the answer" on their special right triangles quiz. It took me a few days to come up with a proper response. Another good thing that happened? I got 2 new free math posters in the mail! 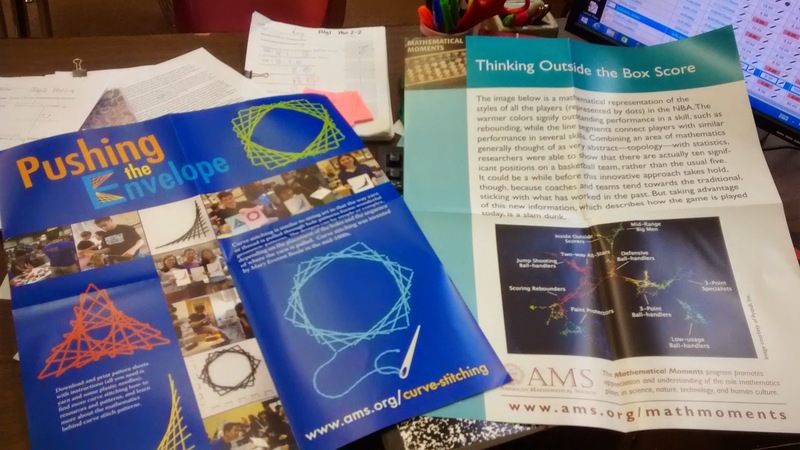 I'm super excited to look into these curve stitching resources from AMS! I learned what the word "bae" means. 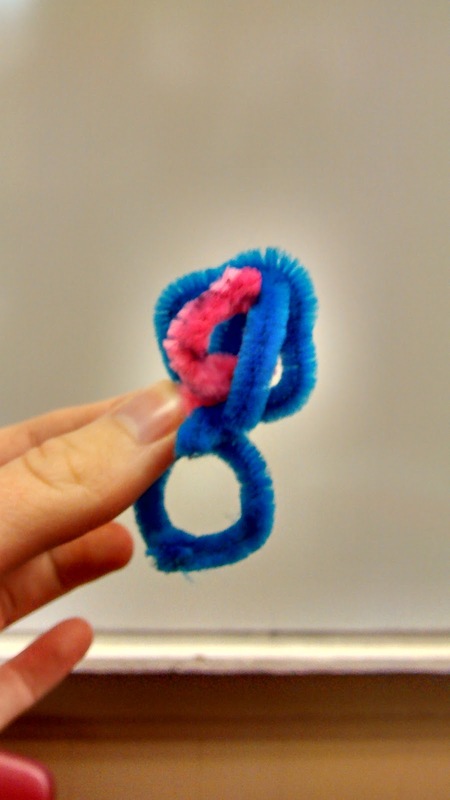 The student who made the ring decided the ring needed a box. Isn't her box lovely? Another one of my students decided this is the tattoo I should get. I'm not getting any tattoo EVER but especially not this one. Want to get lots of questions? 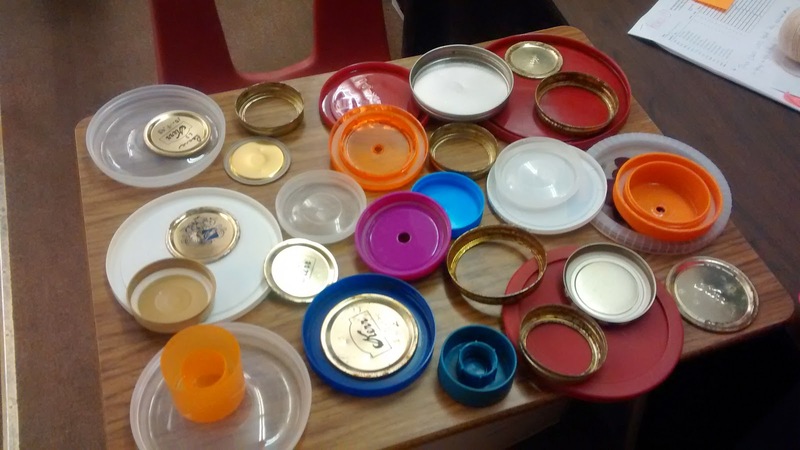 Raid your kitchen of every circular lid you can find and place them on a desk at the front of the classroom. 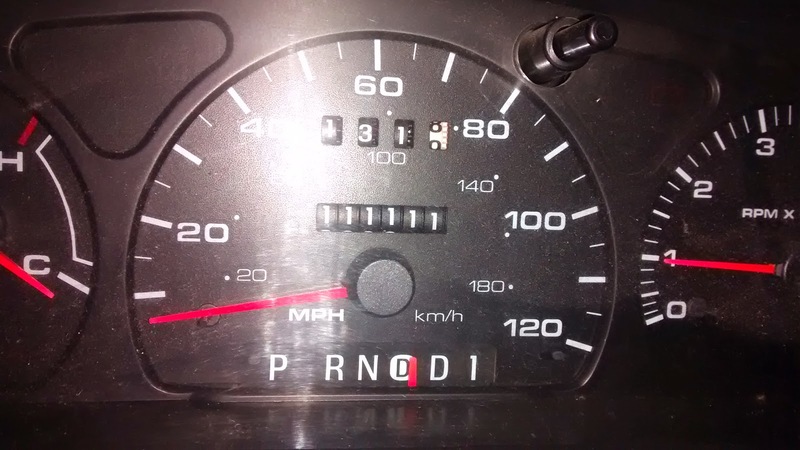 Days when your odometer reading is a palindrome are the best. 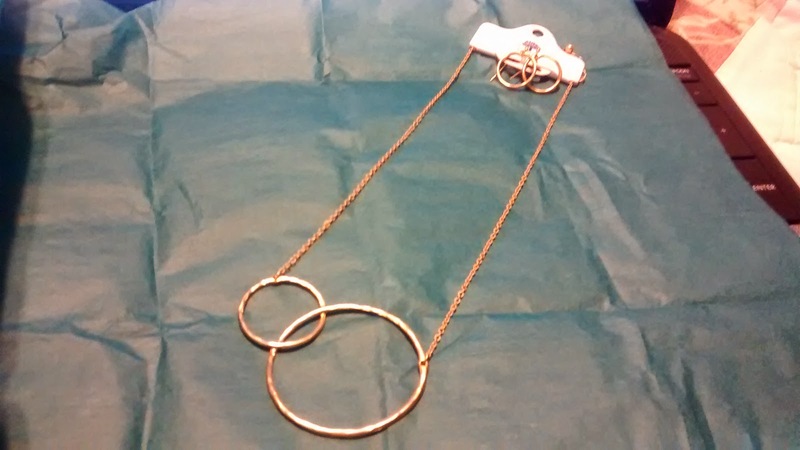 My students have finally realized that I own quite a bit of mathematical jewelry. When I don't wear something mathematical, I get questioned about it. 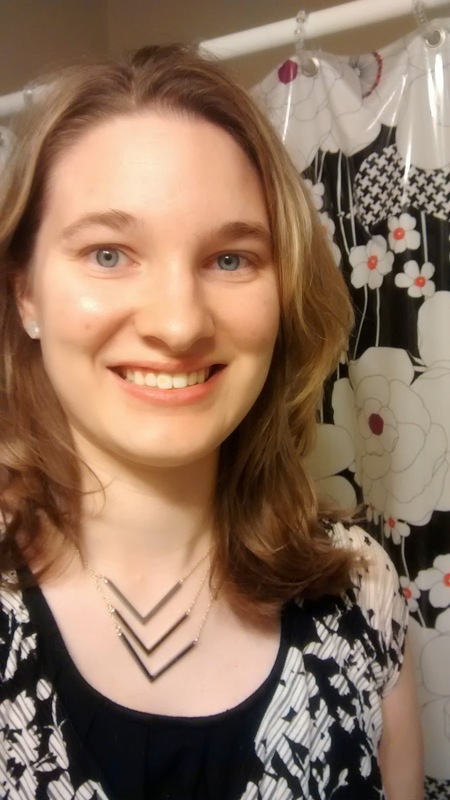 My sister got me this new necklace with three right angles on it. Love it! 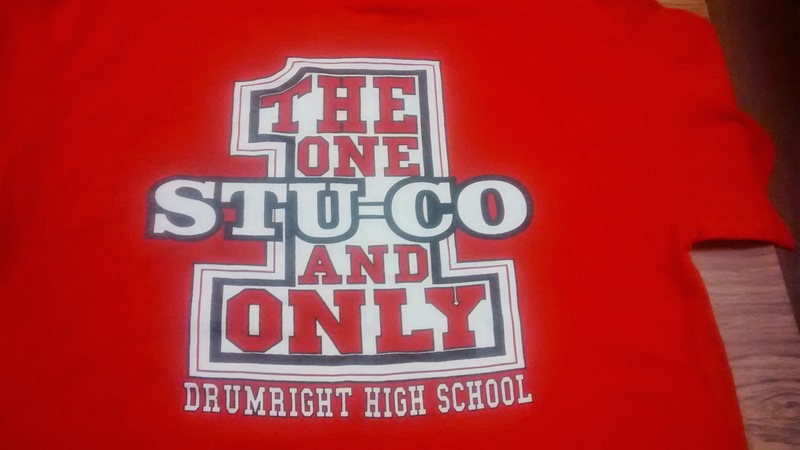 After talking about it for three years, my student council students finally got themselves organized and got t-shirts made up. I took 18 students to our district student council meeting two weeks ago. We looked very sharp wearing our matching t-shirts! 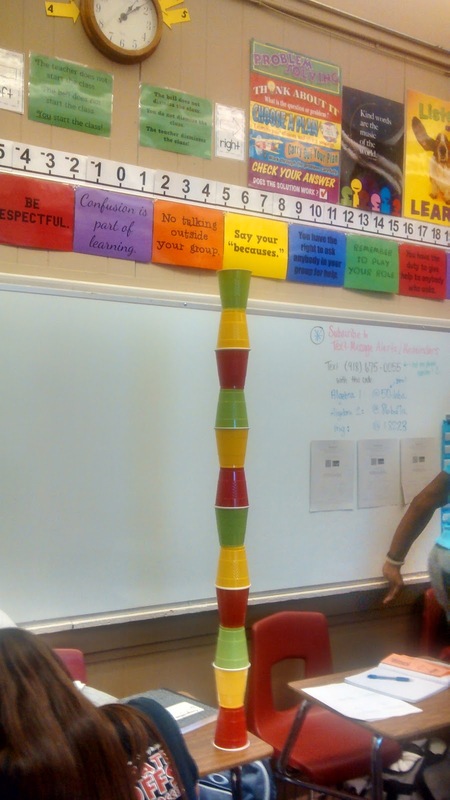 When your students beg to get out the red, yellow, and green cups, this sometimes happens. 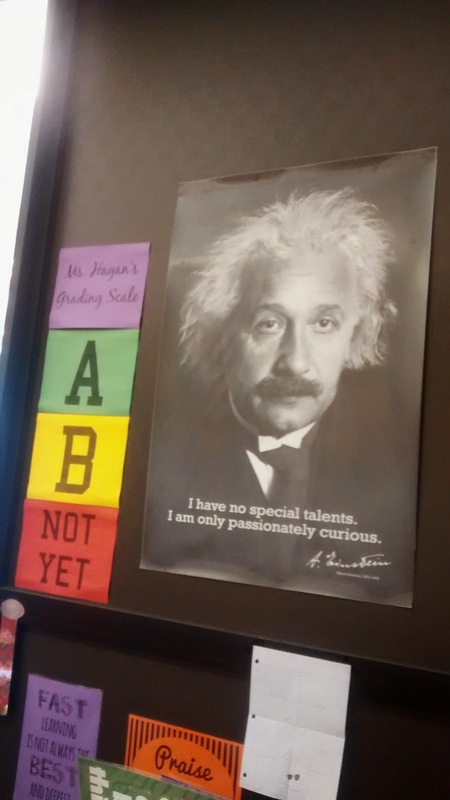 My new Einstein poster came in the mail. Yay. It won't stay attached to the wall. Boo.